Saturday was a busy morning in the Black Rock! 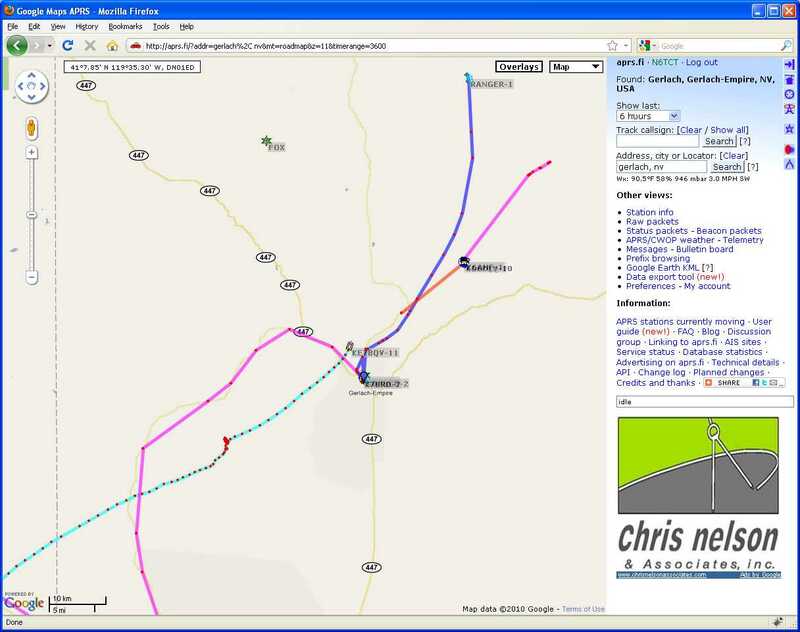 The XPRS folks were out in the desert launching rockets and the UNR BalloonSat came down not far from Gerlach. 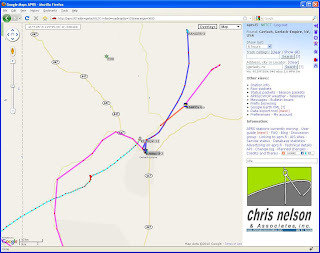 Various APRS digipeaters (including the Black Rock Amateur Radio Association's GERLCH and RAZOR digis, and WA6TLW's VIRGPK and FOX digis) captured the action in the aprs.fi screen shot to the right.